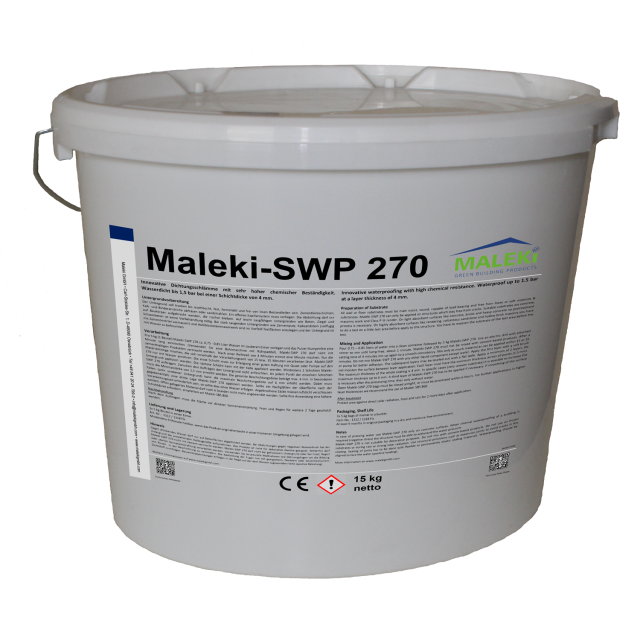 Innovative waterproofing with high chemical resistance for canal and industrial construction. Waterproof up to 1.5 bar at a layer thickness of 4 mm. The product requires depends on surface 2.0 kg/m²/mm layer thickness.